[UPDATED] 5th Anniversary Giveaway #5: Foodsource PH! I'm back from vacation and starting a new giveaway. I'll be giving away goodies from Foodsource PH! and made more available for consumers through Foodsource PH. Two winners will receive Php 480 worth of goodies each from Foodsource PH! This giveaway is open to all readers in the Philippines. Each winner will receive the following: one (1) bottle of Pik-a-Pikel Pickled Mango 250 g (one winner will get the spicy or the regular), one (1) bottle of TheBasics Coconut Sugar Peanut Butter and one (1) Hiraya 72% Single Origin Dark Chocolate from Malabog Davao. Made from the finest grapes in California USA and known as the world’s best-selling wine, Franzia’s innovative Smart Tap technology amps up its freshness and quality which make the wine fresh and delicious up to its last glass. 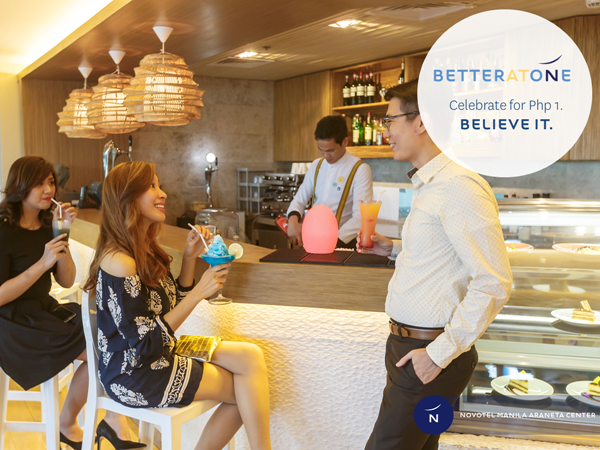 The country’s authority on coffee and tea partners with some of today's most inspiring individuals to make Mondays better for customers. Industrial designer and founder of design company Studio Magee Lilianna Manahan has gained international recognition for her imaginative art. Achieving success in the creative industry requires long hours of disciplined work, as well as a constant search for artistic inspiration. Manahan meets this challenge every Monday by frequently returning to her purpose. "A fellow designer told me he 'renews his contract' every year with God — his ultimate boss — so that he knows what he is doing is where God wants him. I do the same. Whether I'm on an early morning road trip to check on samples, or concentrating on drawing my home accessories and sipping on tea, work is such a delight and an adventure because I know this what He wants for me!" Founder of MovEd and social entrepreneur Alex Eduque remains true to her purpose by doing work she knows will positively impact the lives of others. "I consider myself blessed to be able to do something for the benefit of the greater good, on a daily basis. I am truly grateful that I'm able to live my life in a meaningful manner, pursuing my passions and forging creative collaborations. No matter how tough the going gets, the fulfillment I gain in what I do is unparalleled. I encourage everyone to find that spark of inspiration in the little things—like your favorite cup of tea to start your day with that make up your daily grind. This is what will turn your Monday blues around for the better, forever." 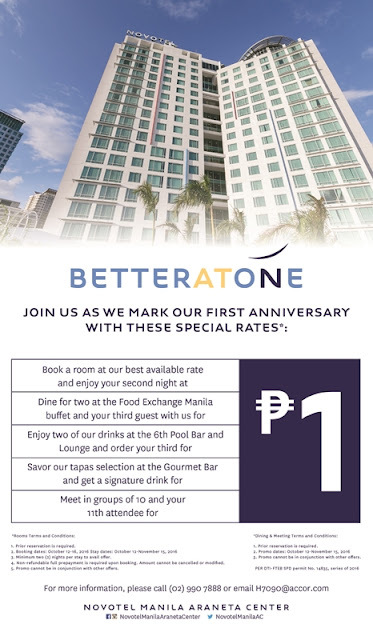 Press Release: Better at One Deals by Novotel Manila Araneta Center! 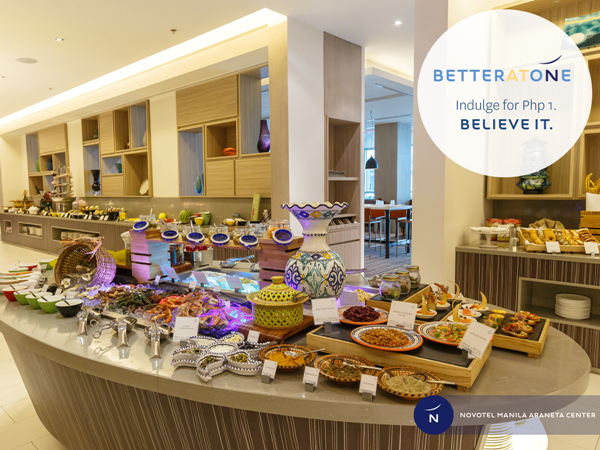 Novotel Manila Araneta Center is turning one this October 12! To celebrate this momentous occasion, Novotel Manila Araneta Center is giving us amazing anniversary deals beginning October 12.